On Friday morning, the UFC unveiled a new championship belt design. It did not take long for former UFC lightweight and featherweight champion Conor McGregor, one of the promotion’s foremost belt collectors, to react to this new piece of hardware. 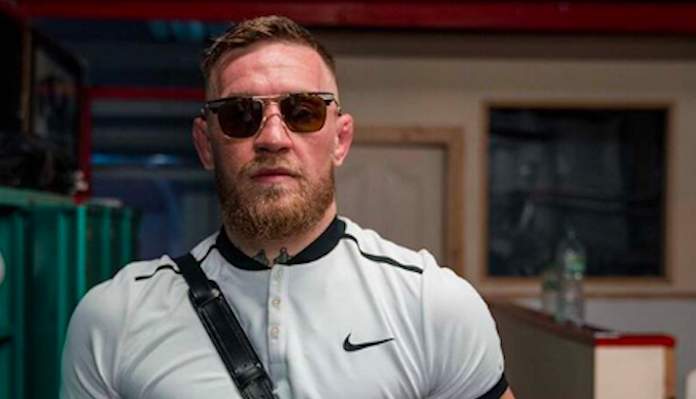 “Ok I’m back” Conor McGregor wrote in response to the UFC’s new belt design, seemingly implying that the lure of a new belt has enticed him to return to the cage. McGregor’s next most recent fight occurred in the boxing ring, where he battled undefeated legend Floyd Mayweather Jr. in a headline dominating crossover fight. Although the Irishman put up a valiant effort in this, his debut boxing match, he was ultimately stopped by a volley of punches in the 10th round. At present, Conor McGregor is awaiting discipline from the Nevada State Athletic Commission, having been involved in a brawl with Khabib Nurmagomedov’s team after the UFC 229 main event. McGregor is expected to appear in front of the NSAC on January 29. A suspension and fine both seem likely. While nothing is official just yet, UFC President Dana White has stated he’d like to see McGregor fight Dustin Poirier next, while Khabib Nurmagomedov battles Tony Ferguson. McGregor holds a previous knockout victory over Poirier, although this win occurred in the featherweight division many years ago.